Whether we are following the low FODMAP diet ourselves, or know someone who is, it is all too easy to be aware of the challenges at hand. We thought we’d put together a list of gifts that make our lives a little easier. We could all use a little help – or straight-out pampering! 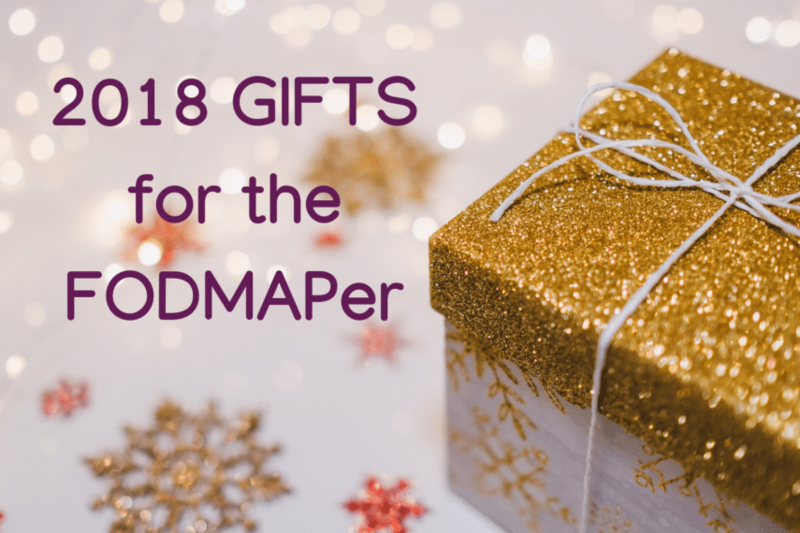 Here is our 2018 list of Gifts for the FODMAPer. OK some of you might look at this as a cop-out, but we all know those people who are really hard to buy gifts for! Gift Cards are the way to go, and ours are FODMAP specific. 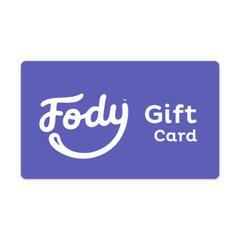 Consider a Fody Foods Gift card and the lucky recipient will be able to choose from salsas (we love the Medium), BBQ Sauce, Salad Dressings, Garlic and also Shallot-Infused Olive Oil, among other items. They have some brand new marinades and simmer sauces that will be very helpful, like Sesame Ginger, Teriyaki, Taco Sauce and a Green Enchilada Sauce! And all of their items are lab tested and Certified Low FODMAP by Monash University. And, because we like to encourage reusable Fody shopping bag usage, why not pick up a shopping bag for yourself, while you are at it! Speaking of Monash, if you know someone who is following the diet and hasn’t downloaded the Monash smartphone app yet, gift it to them! Best money every spent! 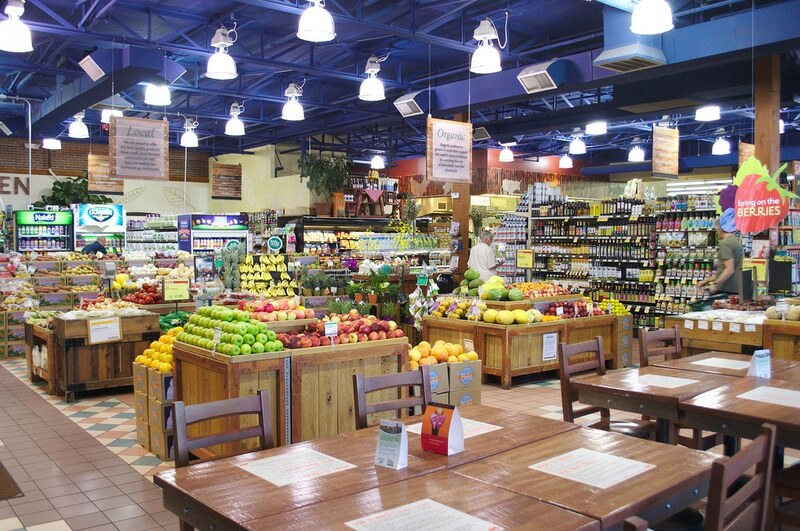 Casa de Sante also has many foods to choose from, which are Certified Low FODMAP by FODMAP Friendly. They are adding new items all the time and the giftee can choose from seasonings to simmer sauces, granola, stock powders and more. They even offer kosher products. 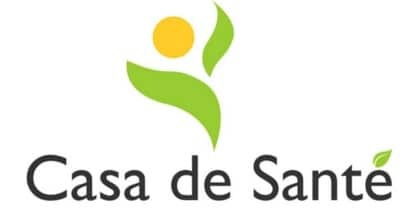 A Gift Card from Casa de Sante will be well received! If you are a book lover or know someone who is, Kate Scarlata RDN and I have written the Low FODMAP Diet Step by Step. Kate has been educating about the low FODMAP diet for many years and you will find everything you need in this book, from shopping lists to over 130 recipes, meal prep advice and a thorough explanation and guide through the Challenge phase. 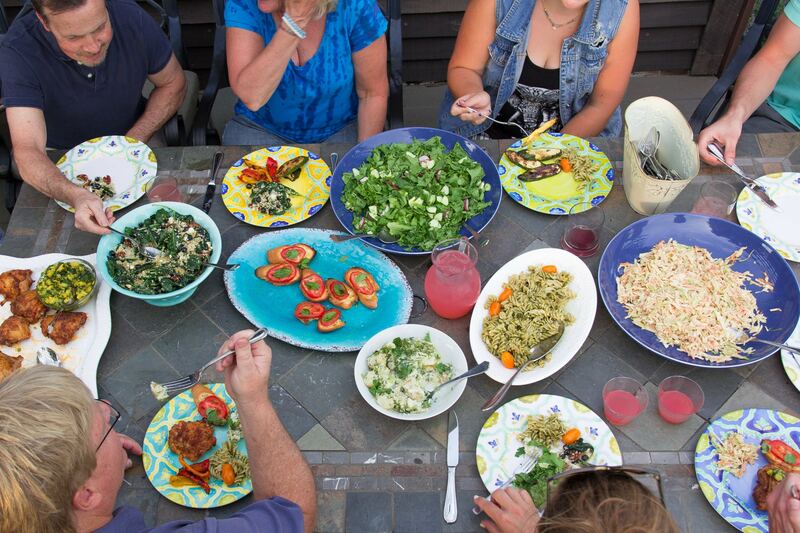 Our good friend and Contributor Tamara Duker Freuman has written The Bloated Belly Whisperer. NO ONE explains the hows and whys of bloating like Tamara! GET THIS BOOK! Eating and drinking on-the-go is part of life and for those following the low FODMAP diet can face extra-challenges, as finding commercially prepared low FODMAP food is not always easy. For hot beverages I cannot overly extol the virtues of these Zojirushi travel mugs. I gave them to all of my kids and family members last year and my daughter has deemed these to be “alien technology”. I am not exaggerating when I tell you that I will put hot tea in my mug at 9 or 10 am and when I come home between 5 and 7 at night, if there is any left, the beverage is hot. SERIOUSLY. The mouths are wide enough to accommodate ice cubes and they work just as well for cold beverages AND they are easy to clean. There are simply no other travel mugs that compare. These Zojirushi mugs are some of the finest engineered products I have ever purchased, period. They are 100% drip free. You can throw these in your gym bag or pocketbook. The Zojirushi SM-KHE48BA has what they call a “slicksteel” interior. If you want the stripped down version, get this one. If you like dairy or alt dairy in your drink, like I do, I recommend the next version as I found this one a tad more difficult to clean. (I have this one in the Champagne color). 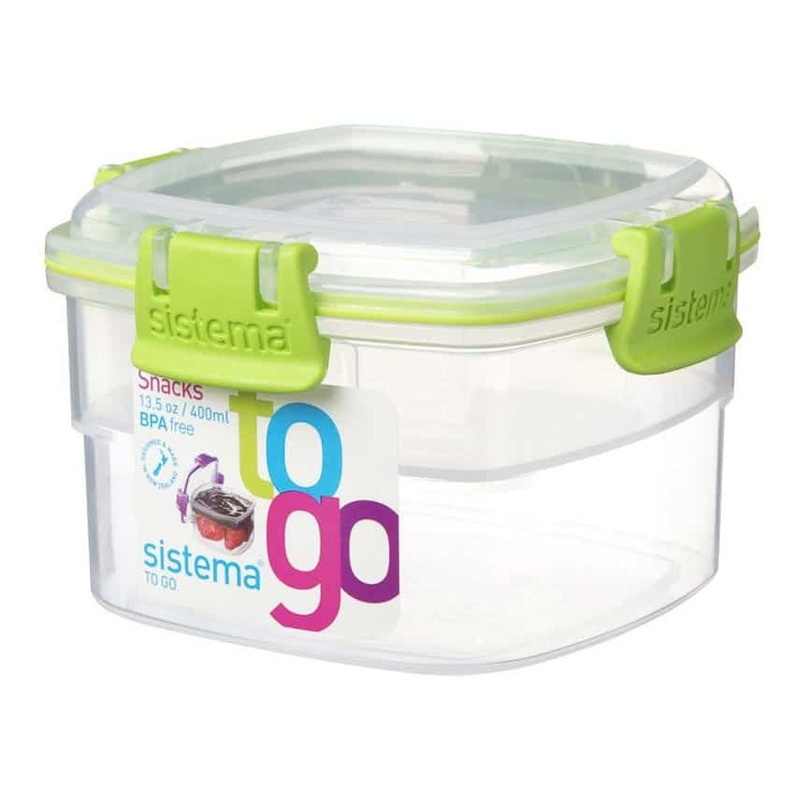 For packing my salads, dressings, snacks and leftovers I am a huge fan of the Sistema brand. They all kinds of cool configurations, like containers that can hold chips and dip separately, or the one pictured to the left that can hold yogurt on the bottom and keep your granola crisp on top. If you like stainless steel, these bento-style boxes from Amazing Bento have a vacuum suction lid for leakproof travel. They come in different colors, too. See the blue ones at left. And even though the Bentgo container is geared towards kids, we love the multiple sections and built-in portion control. And the colors make us happy! I am not too proud to haul around the day-glo colors! How about caring for yourself? Everyone loves massage. Have you watched our self-massage videos? Check them out for sure – as well as our article. This Weleda Arnica Massage Oil is my favorite massage oil. It’s been around for years and I always go back to it. The lovely aroma always brings me a sense of calm the moment I open the bottle. Scales! Everyone following the low FODMAP diet needs a scale and digital scales are the way to go for accuracy. OXO makes a fabulous scale for home use. Easy to use and clean, has a tare feature, it is a reliable brand and you can toggle between ounces and metric. Along the same lines, FODMAPers need good measuring tools. And high quality tools are not cheap. But they will last a lifetime and will help you attend to the proper serving sizes of low FODMAP foods, as is always recommended. For dry measuring cups and spoons I like this set from Cuisipro. I have used this brand for years in the Test Kitchen, due to the quality of manufacture. We love fresh herbs and thankfully they are allowed in quite generous servings on the low FODMAP diet. These Herb Scissors make quick work out of all kinds of herbs – chives, too! And if you are looking to splurge, even for yourself or a friend, everyone who has an Instant Pot LOVES them. If time is short in your life (everyone raise their hand), then this appliance might make a huge difference for you! Use it for grains, soups, stews and braises. And if you are in the mood for an appliance, people are going crazy for this yogurt maker by Belle + Bella! Set it and forget it – and our article tells you everything you need to know to make lactose-free yogurt! Everyone needs cutting boards and while we do not have to be overly concerned about cross-contamination from FODMAPs, many of us have family members that are dealing with additional dietary issues (one for vegans, one for GF, etc.). This set of cutting boards makes keeping track easy. The set contains 4, BPA free, dishwasher safe, vegan and gluten-free friendly cutting boards. 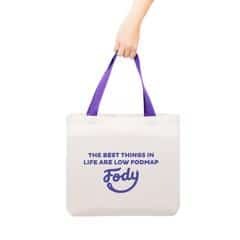 Do you have a favorite gift giving idea for the low FODMAPer in your life? Is there something you’d love to be gifted to help make your low FODMAP journey more enjoyable and successful? Share your idea with us here! Comment below.